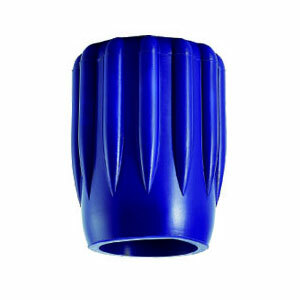 The Long, Blue coloured Sonar Cylinder Valve Hand-Wheel Rubber Knobs have a tough, high quality rubber grip that gives a tactile feel for ease of turning the cylinder valve. This is the valve knob everyone wants and it fits most valves. The long ribbed form allows easy and comfortable operation of your tank valve even whilst wearing the thickest neoprene or dry gloves.